I recall the winter when I rushed to the office at the Lower TCV School to purchase a copy of ‘CIA: Shadow Circus in Tibet’. It was the closure of the academic year and students were on their annual two month winter break. On watching the film, I was surprised to see how Ritu and Tenzing Sonam, prominent Tibetan Filmmakers, were able to compile a multitude of footage from the early Tibetan resistance into a compelling narrative. The scene where Tibetan guerrillas ambush convoys of Chinese military trucks particularly left a lasting impression on me. This led me to develop ideas on how this story could be retold if it were to be made on the silver screen. Seven years ago, whilst pursuing my undergraduate studies, I noticed how the rain outside my window was relentless in keeping me awake. I decided to introspect on the story again and made attempts to illustrate it on pieces of paper. I successfully completed almost four pages of the story board after which it lay between my files for a long time until one day I found it all missing. Although I never found those papers, the story never left me. In 2011, when I first heard of the Tibet Film Festival, I knew right then how this could be an alternative window into Tibet and thereby become an important bridge between Tibetans inside and outside Tibet. Through the festival, I saw the opportunity for Tibet to be projected in various ways through stories that reflect who and what we are. October in Dharamshala is always a busy yet enthralling month of the year where you come across people from all walks of life. The annual celebration of the founding of the Tibetan Children’s Village school where Tibetans gather with their loved ones for two days at the Upper TCV school entertained by school drills, calisthenic performance and the inter TCV athletic competitions is closely followed by the Tibet Film Festival as the next preferred event. 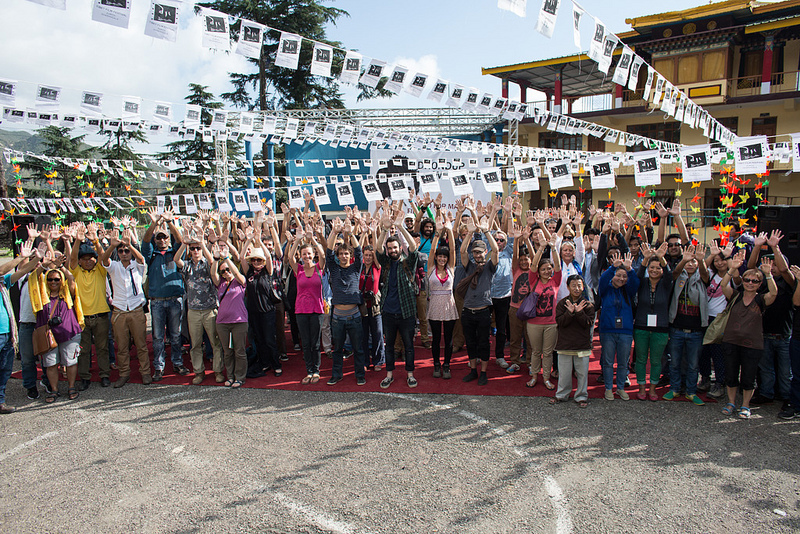 Over the last two years, since the launch of the Tibet Film Festival in Dharamshala, I have noticed how the festival, from a mere audience delight, has now become an important platform for young aspiring Tibetan filmmakers. 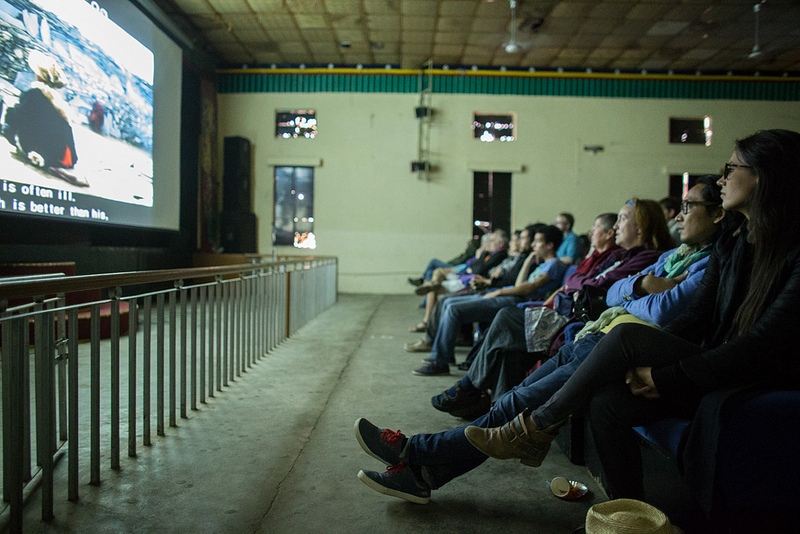 The short film competition category in the festival is an effort to highlight the works of aspiring Tibetan filmmakers from around the world. 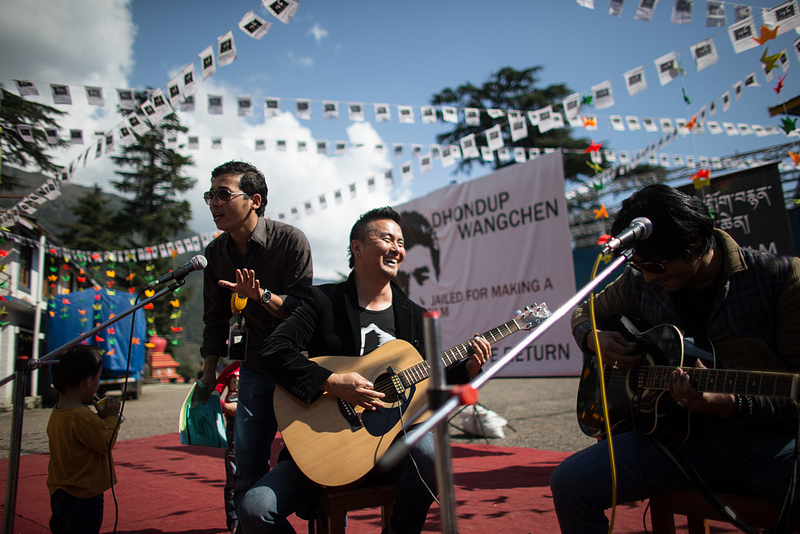 Having had the opportunity to screen movies of acclaimed Tibetan filmmakers from Tibet like Pema Tseden and Sonthar Gyal has been one of the greatest privileges and highlights of the festival. Sonthar Gyal’s ‘The Sun Beaten Path’ and Pema Tseden’s The Search’ and ‘Old Dog’ both have won International awards. 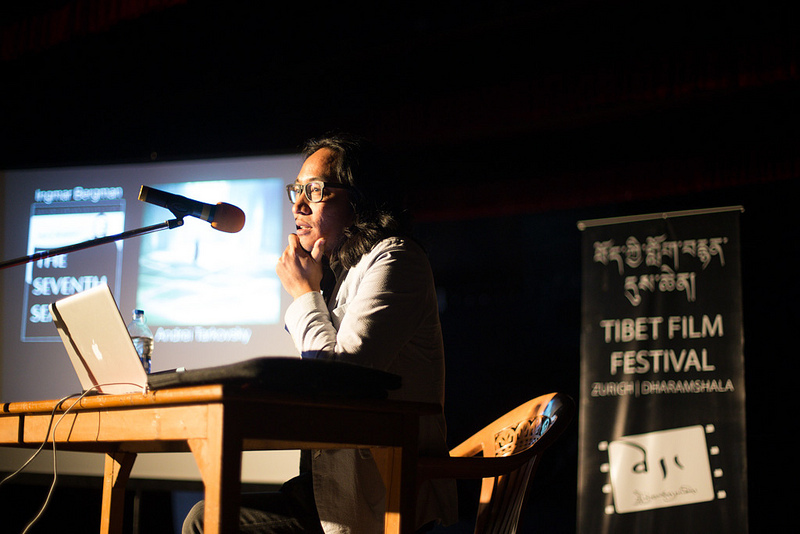 In an interview with the NPR in 2009, Pema Tseden aptly remarked that through his films he hoped to present the ‘New Tibet’ and dispel the prevailing romanticized notion of Shangri-La. As a Tibetan born and brought up in India, I have been living Tibet through these stories and through the stories of my parents and grandparents. Every Tibetan has a story to tell – some have passed by unnoticed and some less noticed. I am hopeful this festival will continue to become a platform for such stories to be told and not forgotten.